Shaun White of the United States competes in the snowboard superpipe qualifiers during the Dew Tour event on Thursday, Dec. 14 at Breckenridge Ski Resort. 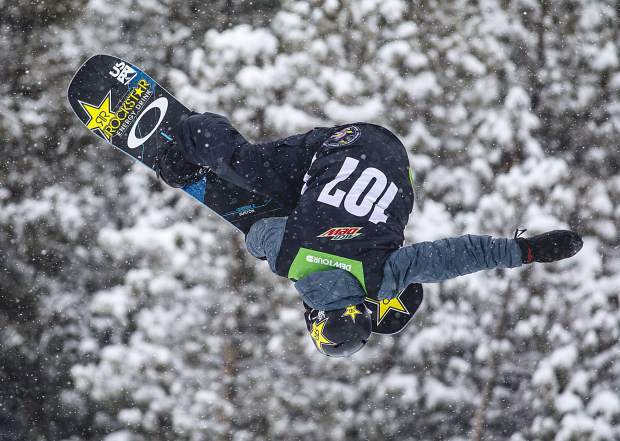 A week after reaching the podium at the snowboard superpipe Olympic qualifier at Copper Mountain, White did not qualify for Dew Tour superpipe finals due to a high score of 45.00. Nick Goepper of the United States competes in the slopestyle qualifiers during the Dew Tour event Thursday, Dec. 14 at Breckenridge Ski Resort. 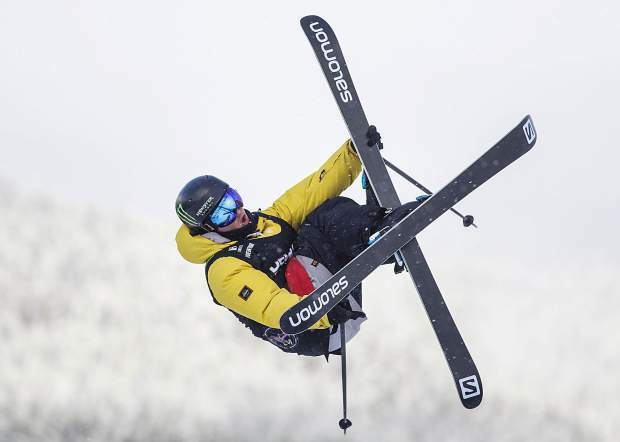 Goepper placed first in qualifiers with a high score of 90.33. Gabe Ferguson of the United States competes in the snowboard superpipe qualifiers during the Dew Tour event Thursday, Dec. 14, at Breckenridge Ski Resort. Ferguson qualified for Friday's final in third place with a score of 78.33, five points behind older brother and first place qualifier Ben Ferguson (83.33). Chloe Kim of the United States competes in the superpipe qualifiers during the Dew Tour event Thursday, Dec. 14, at Breckenridge Ski Resort. Kim placed first in the qualifiers with a high score of 93.33. Jake Pates of the United States competes in the snowboard superpipe qualifiers during the Dew Tour event Thursday, Dec. 14, at Breckenridge Ski Resort. Pates, of Eagle, qualified in second place for Friday's final with a score of 81.66. Colby Stevenson of the United States competes in the ski slopestyle qualifiers during the Dew Tour event Thursday, Dec. 14, at Breckenridge Ski Resort. Stevenson placed third in the qualifiers with a high score of 86.33. 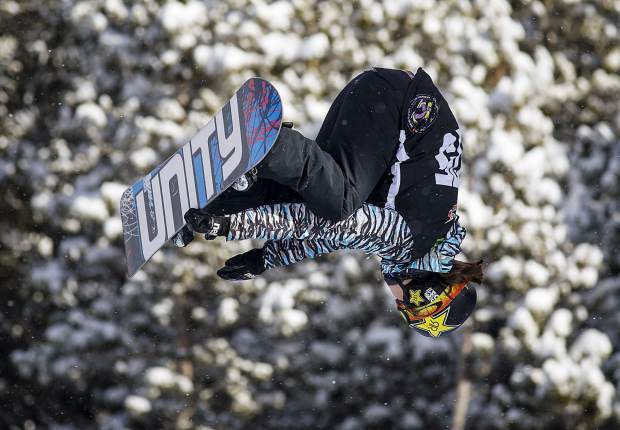 Maddie Mastro of the United States competes in the snowboard superpipe qualifiers during the Dew Tour event Thursday, Dec. 14, at Breckenridge Ski Resort. Mastro qualified in second place with a high score of 91.66. Scotty James of Australia competes in the snowboard superpipe qualifiers during the Dew Tour event Thursday, Dec. 14, at Breckenridge Ski Resort. James qualified for Friday's final with a score of 76.33. Ayumu Hirano of Japan competes in the snowboard superpipe qualifiers during the Dew Tour event Thursday, Dec. 14, at Breckenridge Ski Resort. 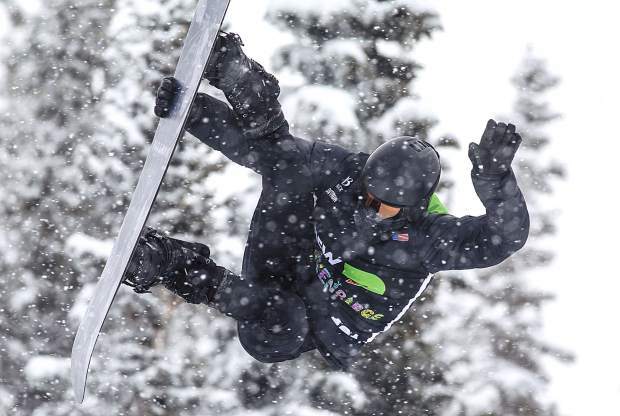 A week after winning the U.S. Grand Prix superpipe event at Copper Mountain, Hirano qualified for Friday's Dew Tour superpipe final with a score of 73.00. James Woods competes in the slopestyle qualifiers during the Dew Tour event Thursday, Dec. 14, at Breckenridge Ski Resort. The Brit Woods qualified for Saturday's final with a score of 84.00. 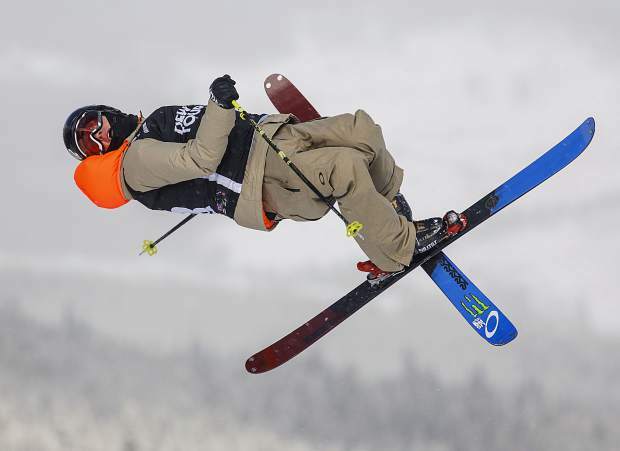 Evan McEachran of Canada, who qualified in second place with a score of 88.33, competes in the slopestyle qualifiers during the Dew Tour event Thursday, Dec. 14, at Breckenridge Ski Resort. 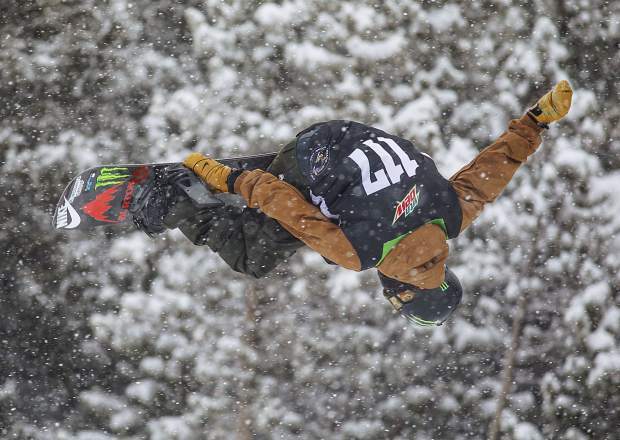 Danny Davis of the United States competes in the snowboard superpipe qualifiers during the Dew Tour event Thursday, Dec. 14, at Breckenridge Ski Resort. Davis qualified for Friday's final with a score of 63.33. 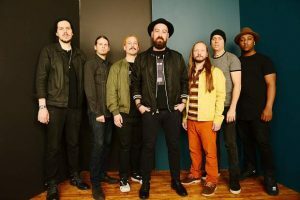 On Day 2 at the Dew Tour when veteran Olympian Shaun White failed to qualify due to a fall on the superpipe, it was the brothers Ferguson that bookended an American top three in the men’s snowboard superpipe qualifiers. 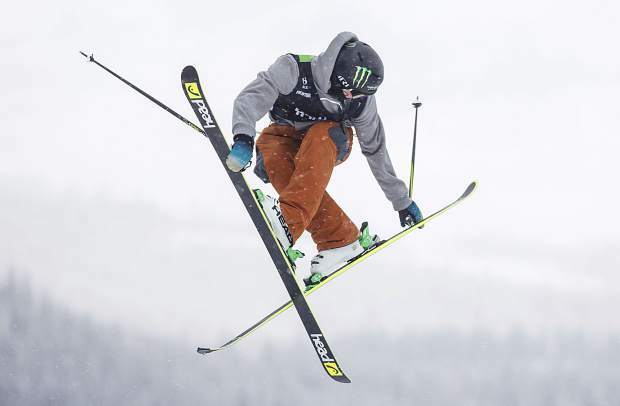 A week after he finished in second at the Olympic qualifier at the U.S. Grand Prix at Copper Mountain Resort, Ben Ferguson registered an 83.33 on the Dew Tour superpipe Thursday morning to qualify in first place. 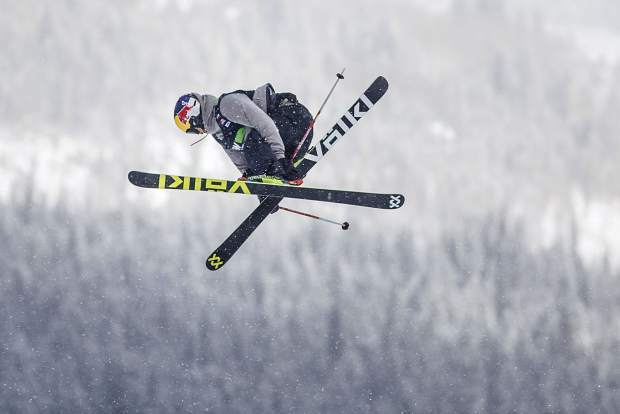 That mark was exactly five points better than his younger brother Gabe, who, after failing to podium at Copper last week, qualified in third on Thursday with a score of 78.33. Sandwiched between the brothers was American Jake Pates of Eagle, who put up the only other score in the 80s on the day, a 81.66. White effectively lost his qualification for the final when he failed to land his customary closing double McTwist. Ben Ferguson took the first place qualifying position on the strength of a run that included a giant air to a fakie, a switch 1080 double cork, a double crippler, a backside 360, a switch McTwist and a switch double backflip to forward, also known as a double B-roll. A trio of international stars will look to go bigger during today’s men’s snowboard superpipe finals, scheduled for a 12:30 p.m. start, as Scotty James of Australia (76.33), Iouri Podladtchikov of Switzerland (73.66) and Ayumu Hirano of Japan qualified in spots four through six, respectively. Hirano is fresh off his win ahead of Ben Ferguon and White at the Copper U.S. Grand Prix, one where James struggled in the final round after qualifying in first place. Another trio of Americans followed that international group: Greg Bretz (seventh place, 72.00), Chase Josey (eighth place, 65.00) and Danny Davis (63.33). Ryan Wachendorfer (50.00) was the 12th and final snowboarder of 23 who started the day to qualify for Friday’s final, while Markus Malin (60.00) of Finland and Jan Scherrer of Switzerland (53.33) also qualified. Those seven Americans will vie for a critical podium spot Saturday as the 2017 Winter Dew Tour is a U.S. Ski & Snowboard Olympic qualifying event for men’s snowboard halfpipe as well as each of the other men’s and women’s halfpipe and slopestyle snowboarding and skiing competitions taking place this week. 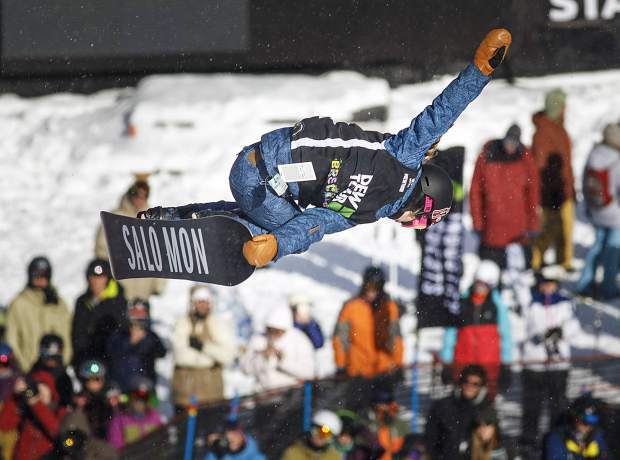 Just five days after the same trio swept the Olympic qualifying podium at the U.S. Grand Prix at Copper Mountain, Americans Chloe Kim, Maddie Mastro and Kelly Clark once again went 1-2-3 at Thursday’s Dew Tour ladies snowboard superpipe qualifiers. During Thursday’s qualifier, the favorite Kim posted a score nearly as high as her Grand Prix championship run of 93.75, as her 93.33 led the group of eight qualifiers who will take part in the final at 2:15 p.m. today. Mastro posted a 91.66 on the halfpipe Thursday to best her second place score from Saturday’s Grand Prix final at Copper. 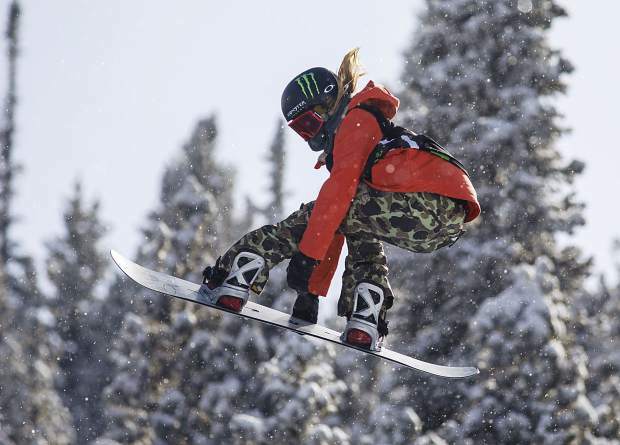 But it was Clark who may have had the greatest improvement from the Saturday final at Copper to Thursday qualifier in Breckenridge, as the veteran and three-time Olympic halfpipe medalist Clark tallied an 89.00 — more than five points better than her 83.75 at Copper on Saturday. American Elena Hight will look to push her teammates and break into a podium spot after she qualified in fourth with an 88.33 on Thursday. 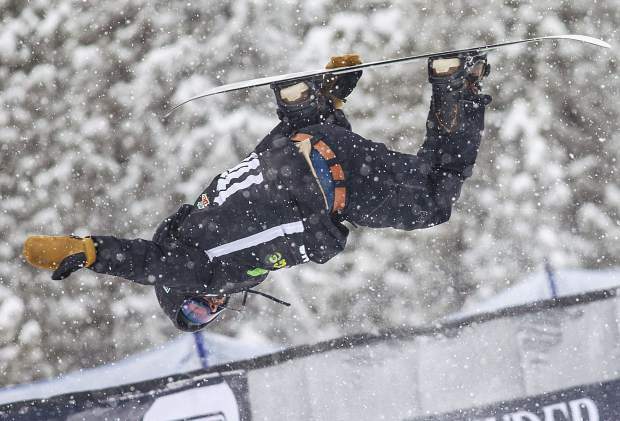 Today’s final will be especially important for the Hawaii-native Hight as she took an eighth place finish at the Grand Prix Olympic qualifier at Copper last week. Arielle Gold (seventh place, 85.66) and Hannah Teter (eighth place, 85.00) were the only other American women to qualify for today’s final while Mirabelle Thovex of France (fifth place, 87.00) and Queralt Castellet of Spain (sixth place, 86.00) also qualified. American Nick Goepper was the only competitor of 23 skiers who was awarded a score in the 90s during Thursday’s ski slopestyle qualifier. His 90.33 led the six Americans who will comprise half of the participants in Saturday’s men’s ski slopestyle final, which is scheduled to begin at 12:30 p.m.
Those other five Americans who will look for podium points to qualify for the Olympics include Colby Stevenson, who qualified Thursday in third place (86.33), McRae Williams (fifth place, 84.66), Cody Laplante (eighth place, 83.33), Gus Kenworthy (10th place, 81.00) and Bobby Brown (12th place, 80.50). Other top international qualifiers Thursday included Canadian Evan McEachran and his second-place score of 88.33, Swede Henrik Harlaut (fourth place, 85.66) and Frenchman Antoine Adelisse (sixth place, 84.33). Due to inclement winds Thursday afternoon, the qualifying round for women’s ski slopestyle was postponed to today at 1:30 p.m. 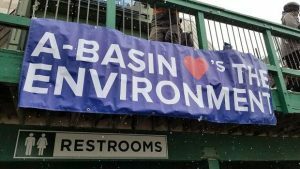 The format for the event will remain the same, however, as all 21 skiers will get two runs and the top eight scores will move on to Saturday’s final, scheduled for 2:15 p.m. 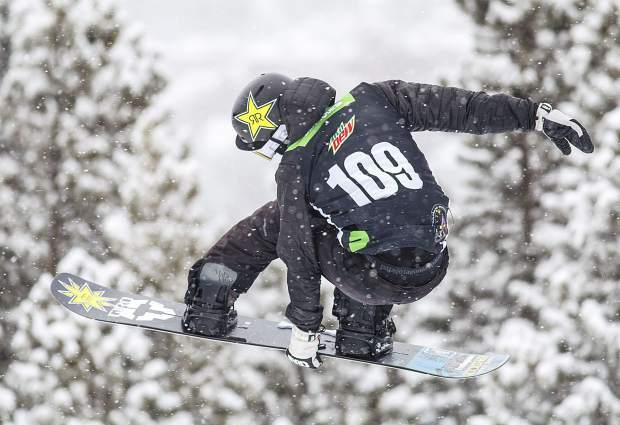 The schedule change will sandwich the women’s ski slopestyle qualifying event between the men’s snowboard superpipe final (12:30 p.m. start) and the women’s snowboard superpipe final, scheduled to start at 2:15 p.m.
On a loaded day at Breckenridge Ski Resort, today’s other Dew Tour events include the men’s ski superpipe final at 9 a.m., the adaptive men’s and women’s finals at 10 a.m., the women’s ski superpipe finals at 10:45 a.m., and the snowboard and ski streetstyle events at 6 and 7 p.m., respectively. 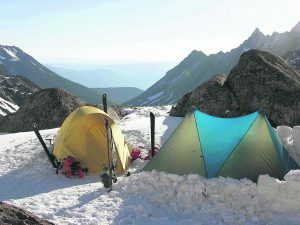 To view more photos of the Dew Tour coverage, visit SummitDaily.com.